DutchChain Open Innovation Program becomes Odyssey. DutchChain has announced the new name for its ecosystem-driven Open Innovation Program. Odyssey, an epic journey where everyone discovers the future by actually building it. That the complex challenges of the 21st century are not owned or caused by one organization and therefore cannot be solved by one organization either. They can only be solved by interconnected collaborative communities where everyone is enabled to contribute as effectively as possible, through an open public digital infrastructure. New open protocols that are part of the digital commons leverage many types of digital, distributed, cryptographically secure proof to enable these communities to collaborate and scale. Odyssey provides these emergent ecosystems with a unique collaborative infrastructure to turn a complex challenge into solutions that are co-created with and supported by key governmental, corporate and regulatory stakeholders. In this way, we can actually make mass adoption happen. Together, we discover the future by actually building it. Official logo animation. 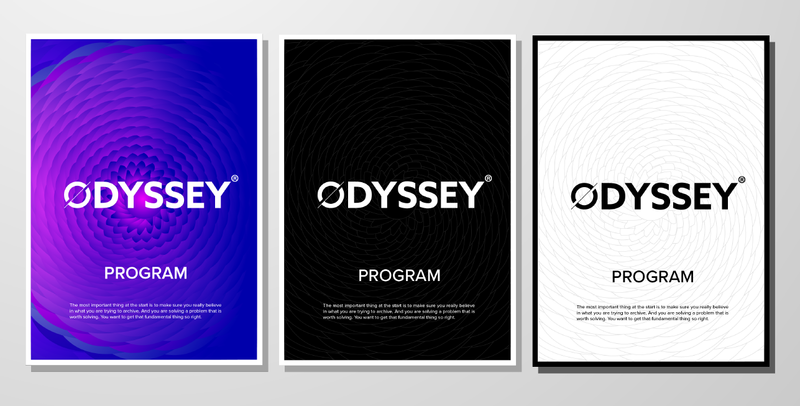 Odyssey Program, season 2018/2019. The updated branding reflects the ambition to move beyond cryptocurrencies and blockchain and focus on breakthrough technology in the specific context of complex challenges, thus encouraging the teams and partners to explore the combinations with other technologies, such as Artificial Intelligence or IoT. Despite moving beyond the obvious “Dutch” element, the new identity is still connected to the program’s roots by reminding of the Dutch tradition of sailing and doing business in the Netherlands. As the Dutch say: “to go into the sea with someone” (NL. — met iemand in zee gaan) is to express ultimate trust in your business partner. The teams are the “ships” with their own crew, captain, compass, and mission. When you are this far out of your comfort zone, you are forced to use your intuition. Only through new ways of thinking and doing, breakthroughs can be reached. While the journey and destination belong to all participants, Odyssey provides guidance and direction. And never forget: there is a bigger story here too. A shared story and future that belongs to us all! Hence, our new icon: the compass with a moving needle. The compass won’t lead you to a place already discovered by other voyagers and maybe not even to existing places. There are no maps, as there is no land yet. This compass helps you determine where to create that new place! A compass to guide you on your Odyssey. The launch of a new name is accompanied with a new website and a community platform that allows everyone to follow the program’s recent developments, find team members, connect with the challenge holders, register for the events and hackathon, and much more. 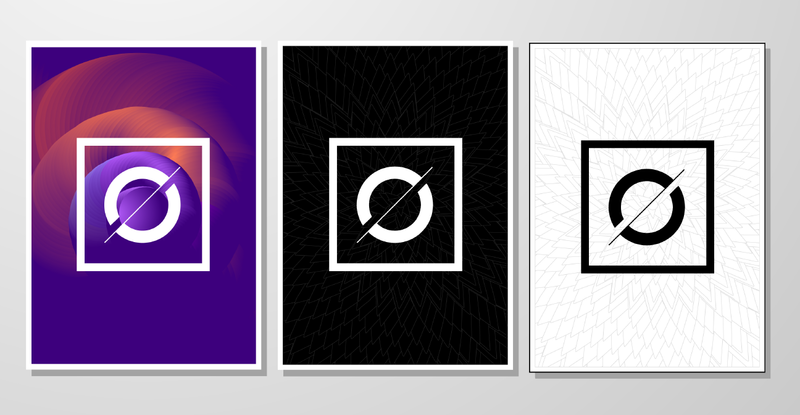 We invite you to join the Odyssey Community Platform. Established in Groningen, the Netherlands, in 2016, the Program evolved into a global platform for blockchain- and AI-powered innovation, connecting breakthrough technology to potential corporate, governmental, and non-profit launching partners. Today, Odyssey is a unique, cross-sector ecosystem that unites 6,000+ members and 35+ Program Partners from both public and private sector, including a unique partnership with the Dutch Government. A 100 selected teams and a total of 1500 attendees are expected in the 2019 hackathon edition. Follow our Odyssey on LinkedIn, Twitter, and YouTube.